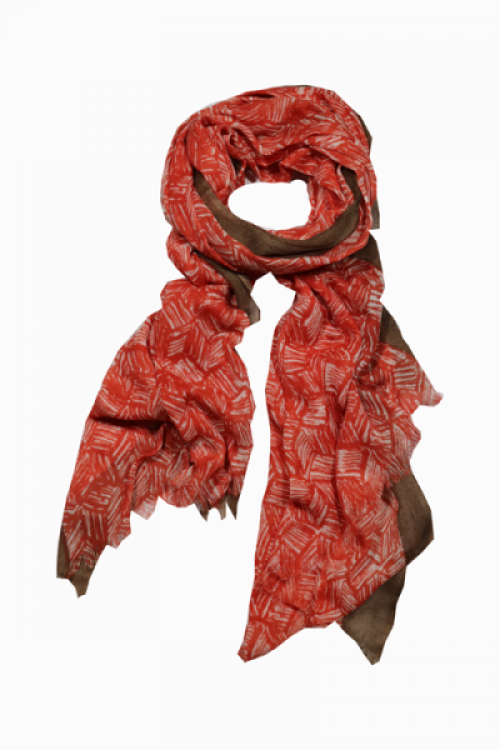 Add to your natural fierceness with this lightweight, painted scarf. Drape it over your shoulders as a stylish layer of warmth. It is a relatively robust fabric that can resist stains and odors. However, the supreme advantage of this scarf is its magnificent versatility as it can add a little bit of spice to nearly every ensemble in your closet. You can leave it loosely draped over your shoulders to glisten in the sunlight of a summer’s afternoon or tie it in a ‘slip’ knot to protect your neck against autumnal winds. We have been supplying scarves wholesale to business and retail shops all over the world. Our products are extensively recognized in the market, owing to their unexpected features like elegant look, unique colors, comfortable nature and modern patterns. Offered products are widely demanded by our style loving clients. Available in numerous specifications such as patterns, designs, colors, we offer these products in modified options too in order to meet the exact needs of clients in the best possible manner.